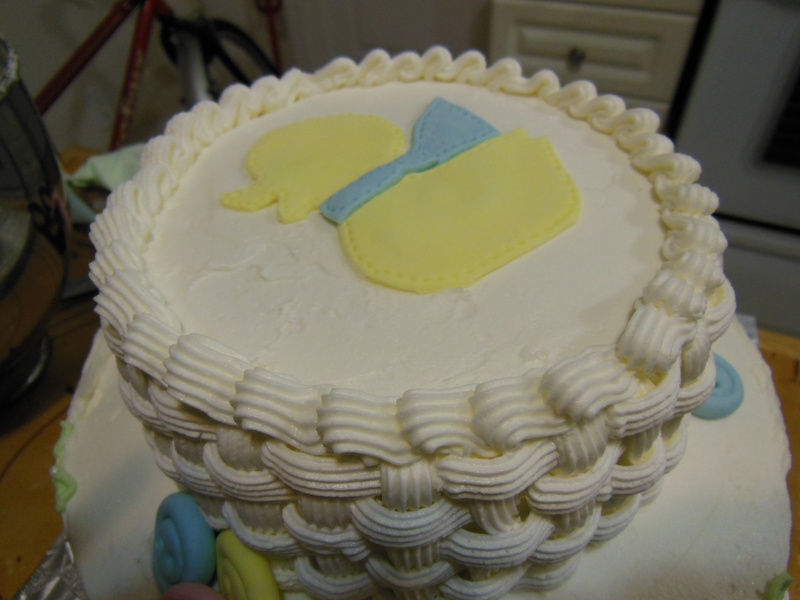 Last year, I made a slab baby shower cake featuring a fondant “stitched” ducky on it. Here is version 2.0. 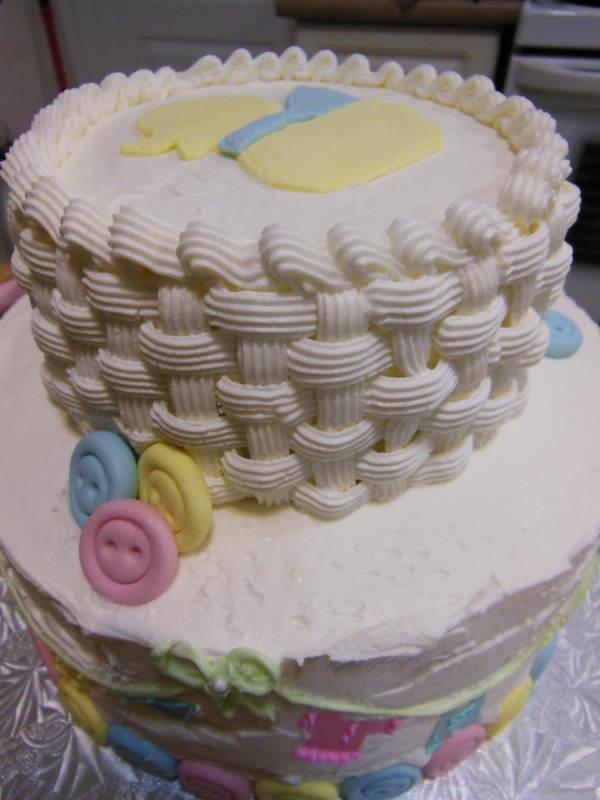 I wanted this cake to be covered in butter cream as opposed to fondant. 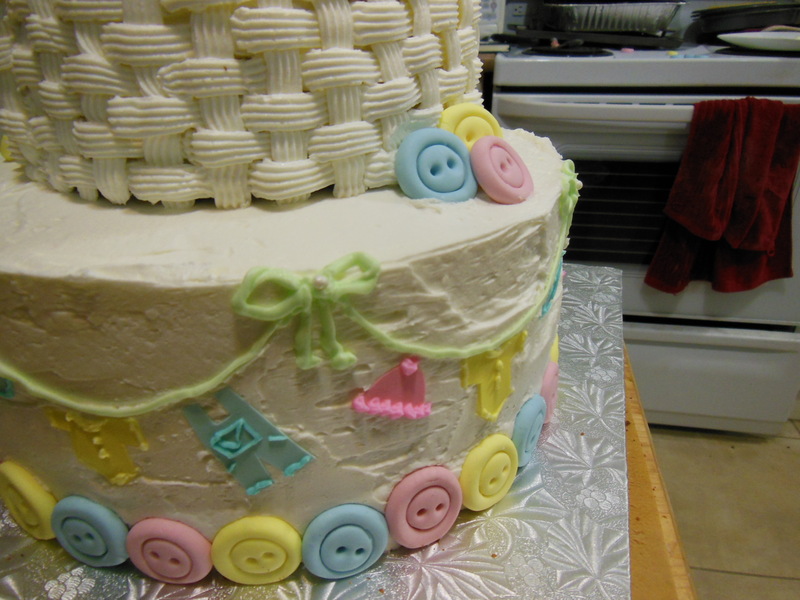 Just the ducky and the buttons are made out of gum paste while the “laundry” pieces are made from Wilton Sugar Sheets (yes, I cheated… but it was SO helpful to have them).